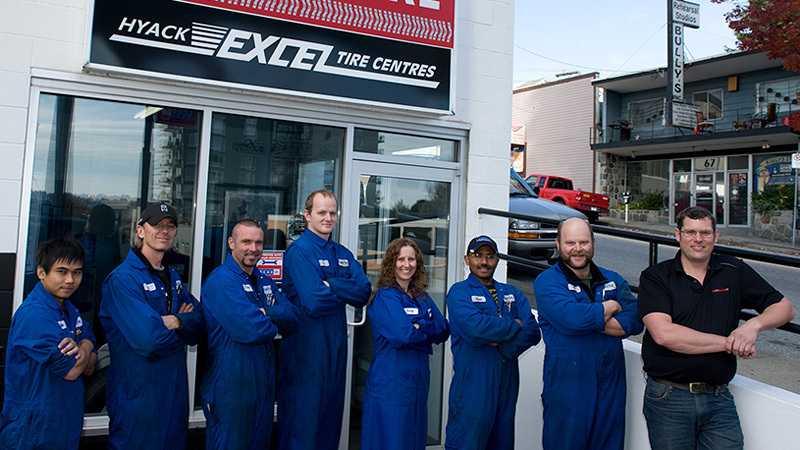 Hyack Excel Tire is a fixture in the New Westminster community, providing excellent automotive repair and tire service for over 20 years. Today Hyack Excel Tire is an expert tire dealer and a full mechanical repair shop having built its business on three guiding principles: Honesty, Service and Fair Pricing. We charge a fair price for the products and services we provide. The success of Hyack Excel Tire results from the good work of our experienced tech team! Our staff is hard working, friendly and knowledgeable. Combined, our core team has been working for Hyack Excel Tire for over 43 years. Now that is loyalty and experience! Hyack Tire is proud of the work our highly skilled, professional mechanics and auto techs perform day in and day out. We wanted you to get to know the people who are working on your vehicle so we created a staff biography page. 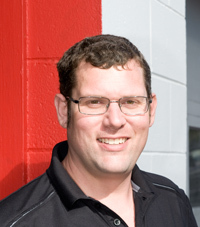 David Klassen is the general manager and part owner of Hyack Excel Tire. David has worked at Hyack Tire since 1999, and in 2012 he purchased the business from Hyack Tire's founder Brian Bannan. Some repair shops employ a "push and up-sell" technique, Hyack Excel Tire's philosophy is to "do the repairs that are necessary". Hyack Excel Tire has been an Accredited Business with BBB since November 1996. Click to see the BBB Review. For the 19th consecutive year, Hyack Excel Tire was voted # 1 in the annual Readers' Choice Awards! Hyack Excel Tire is honoured to receive the Readers' Choice Award because it is based on the votes from members of the New Westminster Community. We are also humbled and grateful to our customers who have supported us for over 20 years. After contacting Michelin on an 800 number we were given the names of a couple of Michelin Tire Shops/Dealers. Some of the numbers we received were no longer in business. We contacted Hyack Tire @ 66 - Sixth Street, New Westminster, British Columbia. They gave us professional, efficient and prompt service. A very short test drive determined that we had faulty wheel bearings which were replaced immediately. Now our XTrail runs quietly and the tires live up to the "whisper quiet" advertised specs. The Dealer where we purchased our tires failed to look after us and did not test drive the vehicle but blamed everything on wheel alignment. We feel this is not an acceptable way of looking after clients. Thank you for recommending Hyack Tire and we will continue to do business with them. They care about the customer and have good knowledge of vehicles and products.